For those of us of a certain vintage, he will be known as "The Cat in the Hat." Mr. Sherman! One of my all-time favourites. I agree with Laura, in reference to the "camp song"..."Hello Mudda, Hello Fadda..." etc. 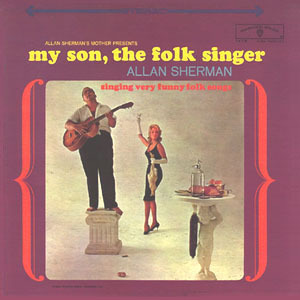 Allan Sherman is one of my all time favorites! A few years ago Rhino reissued a box set of all his work: all the studio albums (I have those on vinyl), "Music to dispense by" a promo he made for a vending machine company, and his "My Fair Lady" parodies - to which he could not obtain right to use the music during his lifetime. It is nice to finally own all his work, unscratched, in stereo! OK - the set did not include "Peter and the Commisar" which was released on RCA, not Warner Brothers - but I think RCA has reissued that. "Hail to thee fat people, you kept us out of war! He had the best camp song ever.